The first deployment for a customer is an exciting proposition — you’ve made a sale!! But all too often it’s an afterthought for how that would actually work. In the SaaS world, having a kickass deployment experience can mean the difference between money in the door or a never-ending struggle. To add to the stakes, CTOs and other decision-makers talk often — so a good or bad experience will affect others’ impressions of you. Make your Customer a Partner - Most early customers are buying on the product vision. Company decision-makers may know that your product is not 100% ready, but many of the day-to-day folks who work with the system may not be on the same page. Establish all client team members as partners and they’ll grant you some much-needed leeway when you find that critical bug. A strong onboarding and deployment process gives you the opportunity to meet those who are hands-on with the platform, understand their goals, and build trust from day one. Sales to Service handoff is critical - How did your Sales team answer the question about the roadmap feature that will not be delivered for another two quarters? A disconnect between Sales and Service happens all too often and is especially common early on in a product’s life. You can mitigate this by involving your deployment team in the later stages of the sales cycle so that they can identify any customizations needed. Additionally, capturing this early feedback from prospects can help inform your product roadmap by prioritizing commonly asked for features or enhancements. Work with a trusted partner - The first deployments are invaluable learning opportunities to hear direct feedback from customers about the process and product. We believe that a trusted partner that knows your application can help expedite the process and feed valuable information back to the product team. Be EXTRA conservative with the schedule - When you get to the first deployment with your “MVP”, the customer may quickly identify gaps that are critical to their workflow. Expect that there will be gaps in the product and add 20-40% more time to the schedule. You’ll be thankful if you need it or look like a hero when you deliver early. Expect a few bumps - Deployments are a messy business — especially the first ones. When starting the deployment process, these hiccups and bumps can put a significant amount of stress on the team and the client as well. Bringing the right team makes a big difference since they have navigated and solved many of these problems before. Give your delivery team a process - A failure to plan is a plan to fail. It’s critical that you have a scripted process from start to finish. Without a solid plan, the customer may feel overwhelmed that they need to manage the process and then the only advice I have is to buckle up! Define the boundaries for your product - Your deployment team needs to be the experts so that they can become trusted advisors for your customer. To do that, it’s important that the product team outlines the workflows that are covered. Not understanding what is customization (extra cost) versus a product configuration can cause a riff with your customer. Also, documenting what is outside the product can give your team additional insight into commonly requested features. For large companies, expect bureaucracy - They have too many stakeholders, systems, and processes to move quickly. 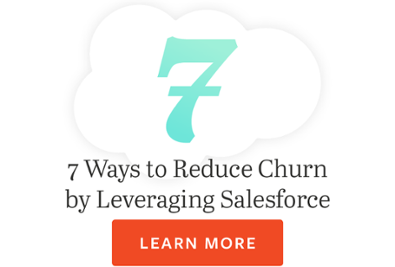 Expect multiple environments, multiple rounds of testing, and multiple decision-makers. Learn from the experience - Retrospectives are extremely helpful. Do these early and often to make sure you are highlighting areas for improvement. Incorporate Sales, Marketing, and Product so everyone can learn from what went well or can be improved. Deployments are a natural part of doing business — that doesn’t mean that they are easy or any less intimidating for growing companies. With a trusted partner and a little bit of practice, patience, and perseverance, you’ll have your deployment process running smoothly in no time. First deployments are very important because good experiences lead to happy customers — who are then excited to be advocates of your product. Contact CodeScience to ensure your first customers are wildly successful. We are the only partner that can accelerate your timelines and delight your customers because of our experience successfully bringing commercial AppExchange applications to market.